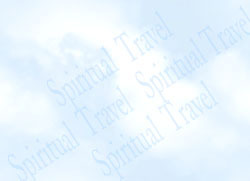 For myself and other seekers who attempt to practice the art of spiritual travel, the concept of spiritual travel seems a natural one. In considering the variety of spiritual travel experiences presented here (some of which are of a personal nature), it seems justifiable to maintain a solid wall between two realities - the reality based on perception in the body, and the one based on perception outside of the body. This fits well with distinctions in Western philosophy by Plato, the church fathers and later Descartes who subscribed to the dualism which separates the spiritual and the material spheres. The spiritual world is defined as the realm of the mind (and afterlife for those with a religious world view) where thoughts exist, and time, size, and distance are irrelevant. The material world is the realm of earthly existence and the body where time, measure, substance, and matter are the dominant reality. However, there are people who have experiences that seem to violate this clear separation between "in the body" and "out of the body" experience. The following examples give a picture of souls who enter high states of spiritual awareness, and perceive both the spiritual and physical worlds simultaneously as part of one vast spiritual panorama. If I say that He is without me, it is a falsehood. Gopi Krishna describes a spiritual travel experience where the physical world becomes transparent to the spiritual world. Gopi Krishna avoided meditation for a number of years after an initial experience with the Kundalini which threw him mentally off balance. He then adopted a very strict diet and physical routine while the Kundalini energy slowly transformed and strengthened his body and mind to prepare him for this experience. His extraordinary spiritual experience occurred as the physical world continued to exist as little more than a transparent vapor through which he saw the spiritual one. This vision describes the way a participant at a church service comes to perceive physical objects as transparent. An all-encompassing spiritual light is then perceived to pass through the church, the environment beyond the walls of the church, and all the people of the congregation. Franklin had been analyzing the components of his own inner experience over the years slowly separating out the changing elements from the unchanging spiritual essence which exists in the background. Here he describes a breakthrough experience where he was able to perceive this essence directly which did not interfere with or negate his sensory perceptions but propelled him into a radically altered state of consciousness.